OE replacements designed to fit and function equally or better than the originals. Most of these units are Also suitable for use when upgrading from manual to power steering. 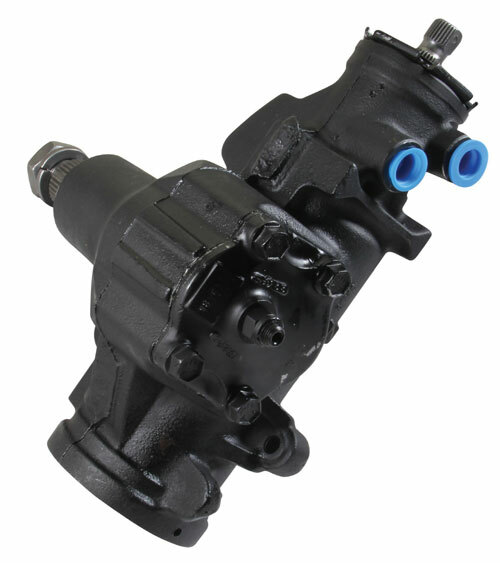 When you notice your current steering box Leaking on the driveway, or your muscles ache each time you turn the wheel, its time to consider an OE replacement steering box. Fits 1964-76 Midsize, 1968-76 Nova, 1967-79 Camaro. Uses ¾-30 spline rag joint, part #RJC-730R.